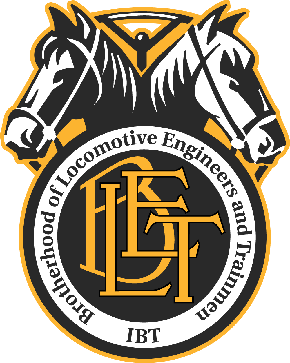 INDEPENDENCE, Ohio, March 15 — On Tuesday, March 15, The Federal Railroad Administration (FRA) published a Notice of Proposed Rule Making (NPRM) establishing minimum requirements for the size of train crew staffs depending on the type of operation. FRA’s proposed rule provides compelling reasons trains should be crewed by at least two persons. BLET applauds FRA’s willingness to take a hard look at many scientific concepts that need to be considered when determining crew sizes. BLET National President Dennis R. Pierce and officers at all levels of the Organization have warned FRA and the National Transportation Safety Board (NTSB) at every opportunity regarding the dangers that task overload presents to train crews. To be clear, however, task overload does not lead to the nebulous term “loss of situational awareness.” The words “loss of situational awareness” are merely management code words for blaming the employee who has been bogged down with too many tasks, duties and distractions. Task overload does lead to increased fatigue and attention capture that pose genuine and quantifiable safety risks in the railroad industry. BLET will file comments to the NPRM docket that completely detail the concerns we have regarding task overload and the human factors issues raised by the NPRM. FRA has done good work by raising issues of human and system integration and cognitive task analysis. However, the proposed rule also has a cautionary side that should give us all pause, because FRA has proposed two different options for railroads to either continue or initiate operations with single person crews. BLET will examine these proposals further and formally comment in greater detail in the appropriate forum. Meanwhile, the BLET will continue to work in every arena available to it – whether collective bargaining, regulatory affairs or legislation on Capitol Hill – when it comes to crew size. We will endeavor to persuade FRA to adopt a regulation that safeguards train crews and the public and we also will keep encouraging members of Congress to co-sponsor and support the Safe Freight Act, H.R. 1763. “Technology will never be able to safely replace the eyes and ears of our highly-trained, experienced and professional two-person train crews,” President Pierce said.